Gokulam Kerala academy player Rahul KP scored the only goal of the match while Ranjeet Singh scored a hattrick to overpower the Northerners. Kerala piped hosts West Bengal 1-0 thanks to a late goal from Rahul KP at the Mohun Bagan Athletic Ground, Kolkata in a Santosh Trophy match played earlier today. It was a very cagey match which saw Kerala get a stunning late goal thanks to a brilliant move from Jithin MS, as they became toppers of Group A and will face the runners-up of Group B in the semi-finals on Friday. Both teams rested some key players due to the fact that they had already progressed into the semi-finals, but Bengal went with a more defensive shape to counter Kerala’s terrorizing attacking force. 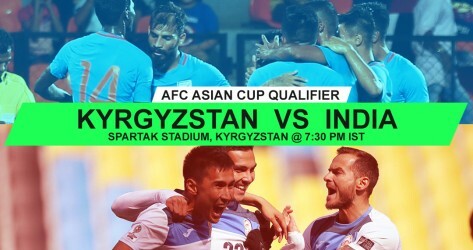 The hosts created the first chance in the 6th minute when Kerala failed to clear a throw-in and the ball met the volley of Sandip Bhattacharjee, which only managed to hit the side-netting. Kerala received a free-kick from a dangerous area in the 13th minute when Jithin MS was brought down outside the box, but his subsequent attempt was a poor one. They received another one four minutes later and this time Seesan S hit a venomous attempt at goal which was collected by Ranajit Majumder. Bengal were being restricted to long-shots and a few minutes later, Rajon Barman’s attempt from a long way out almost crept into Kerala’s goal. Both sides were finding it difficult to find the decisive final ball and were getting frustrated heading toward the half hour mark. Bengal winger Bidyashagar Singh finally found some energy in the 32nd minute and beat his man on the right before sending in a terrific cross, which Sujay Dutta shockingly missed from close range. The hosts created a decent move in the minutes before the break, when Ankit Mukherjee’s splitting pass found its way to Barman, whose shot was deflected and almost found its way to Sujay Dutta before Hajmal S saved it. Kerala also created one in the dying minutes through a corner, but the attempt went whizzing past the goal. Kerala made a few substitutions at half-time which allowed Jithin MS to move into a more central role where he’s much more dangerous. Bengal tried to get the goal from long-shots and Sanchayan Samadder’s attempt from 30 yards out in the 52nd minute almost troubled Hajmal. Jithin finally came alive in the game in the 56th minute when he went past Bengal’s defense, but his shot was superbly saved by Ranajit to keep the scores level. Jithin threatened again in the 68th minute, showing amazing pace on the right wing before tricking Bengal’s defense and sending in a stunning cross, which Afdal VK failed to control and divert into the goal. Bengal were badly missing key players like Tirthankar Sarkar and Jiten Murmu in their attack as they just couldn’t find a way past Kerala. Bengal attempted another shot from a long way out in the 75th minute when Samadder went for an ambitious shot which was comfortably saved by Hajmal. The hosts created a chance in the 81st minute when Bidyashagar was set free inside the box, but couldn’t properly go around the goalkeeper as his shot was a whisker away from sailing into the net. But Kerala shocked the hosts in the 89th minute when Jithin went on another surging run through the right before cleverly laying it for Rahul KP, who calmly put the ball into the back of the net to get the winner for his side. Bengal were stunned by the late goal and huffed and puffed to get an equalizer, but Kerala held on to get their win which sees them finish as the toppers of Group A and Bengal ended their group stage campaign on a disappointing note by finishing as runners-up. Maharashtra came from behind twice to thrash Manipur 7-2 in their final group phase match of the 72nd Santosh Trophy on Tuesday (March 27, 2018) at the Sailen Manna Stadium in Howrah. The big win was powered by a hat-trick from Ranjeet Singh (59th, 77th and 90th minute) along with goals from Sahil Bhokare (28th), Nikhil Prabhu (75th), Kiran Pandhare (86th) and Naqiur Ansari (90+3rd). Meanwhile, Chanso Horam (17th) and Dhananjoy Singh (40th) were the scorers for Manipur. The match was all about pride as it was a dead-rubber in Group A, with both sides having been eliminated after suffering crushing defeats to Bengal and Kerala earlier in the tournament. Manipur were firmly in control right from the start as they created the first chance in the 7th minute through Jerry Pulamte but the striker could not keep his effort on target from Netrajit Singh's pass. Three minutes later, Maharashtra had a chance of their own as Kiran played an excellent ball to Siddhart Colaco beside him in space before the latter released Naqiur on the left, but the ball was overplayed. 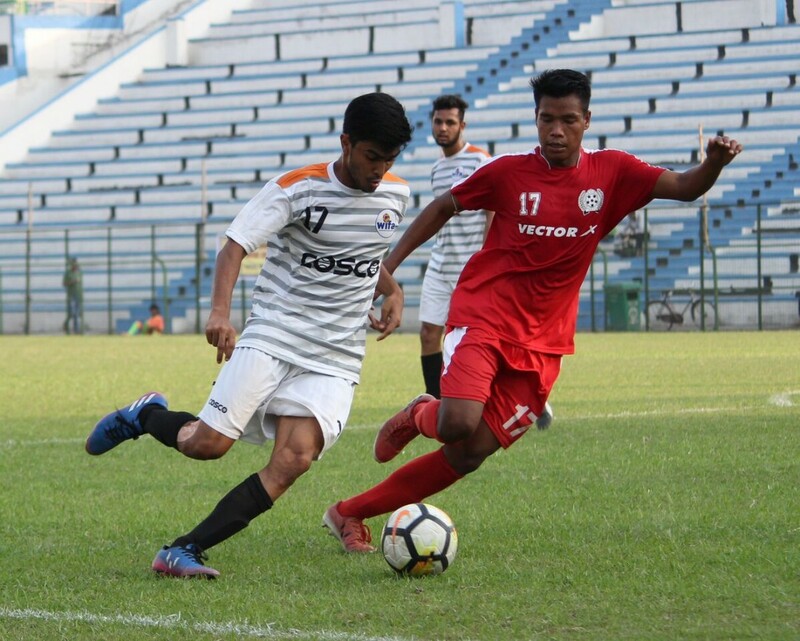 Meanwhile, Manipur took the lead just past 15th minute mark when Chanso slotted past Aditya Mishra after receiving the ball from Ngangbam Naocha. The goal stunned Maharashtra momentarily but they did not lose hope and continued to play attacking football. Maharashtra equalised in the 28th minute when Sahil scored with a brilliant volley. 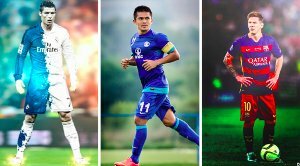 However, Manipur regained their lead five minutes before the interval when Dhananjoy scored from the spot after Jerry was fouled inside the box by Subham Mane. Manipur restarted the game quickly and positively sending numbers forward to force the Manipur backline open. The North Easterners maintained their lines for only 14 minutes before Ranjeet’s long-range shot found the net after taking a deflection. After continuous pressure, Maharashtra finally managed to take the lead in the 75th minute. 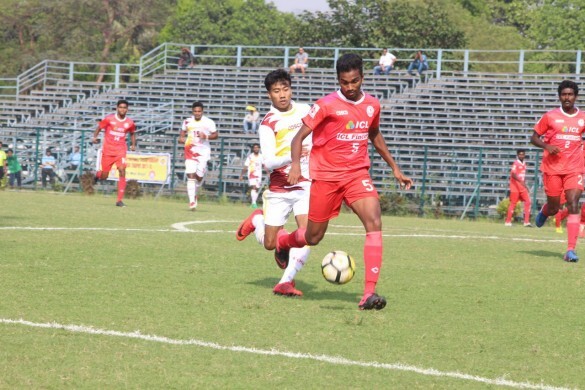 Advit Shinde dispossessed an opponent on the left and ran free before beating a defender and crossing the ball to substitute Nikhil inside the box on the right. The defender controlled and hammered home a low attempt at the first post to put his team ahead. In the final quarter, there was a flurry of goals as Maharashtra managed to find the net four times. First it was Ranjeet who finished off a brilliantly crafted move in the 77th minute before setting up Kiran in the 86th. Ranjeet then completed his hat-trick in the 90th minute from Mrunal Tandel's pass. Naqiur then rounded off the goal scoring tally in additional time from Advit's pass. The result meant Maharashtra finished their campaign on thrid place in Group A with 6 points while Manipur took the wooden spoon after garnering just one point from four matches. 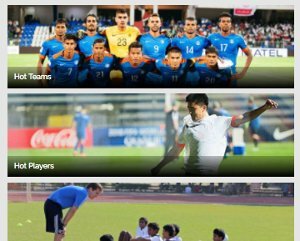 The 72nd Santosh Trophy will wrap up its first round with the final Group B matches on Wednesday, as Mizoram take on Karnataka and Punjab battle Goa.